If you're looking for a paradise vacation, this is where you want to go. Eritrea is located on the Horn of Africa (North East Africa), and borders with Ethiopia on the south, Djibouti on the south-east, Sudan on the north-west, and Red Sea on the north along with Dahlak Archipelago and other small islands. Eritrea, with a land area of about 125.000 km2, is roughly the size of England, or the state of Pennsylvania, USA. The coastline measures around 1.200 km and off it there are over 350 islands, of which 210 comprise the area of the Dahlak Archipelago. ‘Three seasons in two hours’. 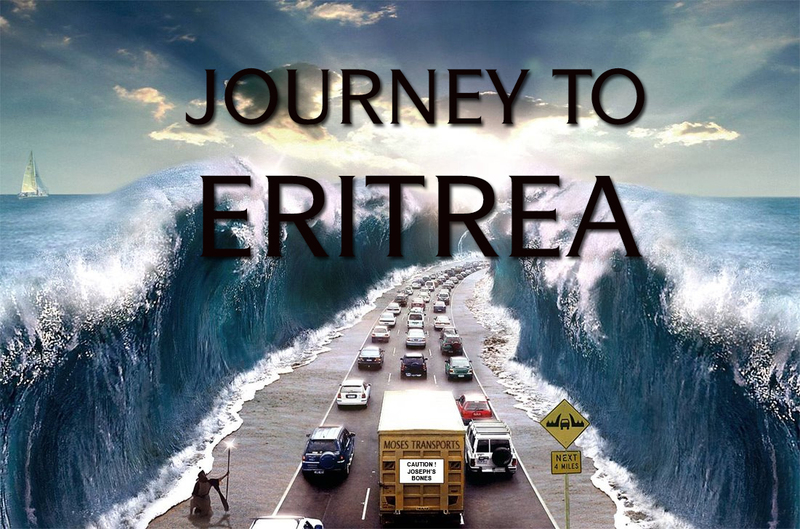 There is no time of year that is particularly unsuitable for visiting Eritrea. Eritrea is located at the highest landmass of the African continent. Eritrea has a variety of climatic conditions. The country has three major zones- the central highlands, the coastal region, and western lowlands. Each zone has a different climatic condition. Asmara, the capital of city of Eritrea, has a wonderful climate all year around (average temperature roughly 59 Fahrenheit, 16 Celsius). IT MIGHT BE A NEW NATION, BUT IT'S THE OLDEST CIVILIZATION ON EARTH. Eritrea was forcefully annexed by Ethiopia under the Emperor Haile Selassie. In April 1993, after 30 years of war with Ethiopian regime, Eritrean people have voted unanimously in favor of their independence. However, Eritrea might have been a new nation on map but it’s the oldest civilization in Africa. Adulis was an ancient port of Red Sea coast and it was important in staging post in the trade between Mediterranean, southern Arabia, East Africa, and Indian Ocean before Ethiopia was discovered by King Menelik II. Today, many archaeologists are investigating to find an answer to ‘the buried civilization’. Eritrea has a roughly population of 6 million inhabitants. Although Eritrea has nine heterogeneous tribes but the fabric of the society is homogeneous by any standard. All nine tribes have lived in harmonious environments and have an utmost respect for each other since the cradle of civilization. The tribes that are Afro-Asiatic speaking communities of Cushitic branches: Tigrinya, Tigre, Afar, Rashaida, Saho, Bilen, and Beja. The rest tribes that are Nilo-Saharan communities: Kunama, and Nara. All Eritrean tribes, then and now, have put their Eritrean nationality as a first priority than their ethnicity. Perhaps it’s extremely difficult to fathom that homogeneous society-such as Eritrea-does exist in Africa continent in which tribalism conflicts are a way of life…. A LAND OF RICH CULTURE. Roughly 50% the population adheres to Christianity, Islam 48%, and while 2% of the population follows other religions including traditional African religion. The major languages are Tigrinya, Tigre, Arabic, and English. Also, in Eritrea there are other languages are spoken in Eritrea: Bilen, Afar, Kunama, Saho and etc. AN IDEAL VACATION FOR THE FAMILY. Since Eritrean independence, the government has done a marvelous jobs in building a quality of roads, communications, dams, hospitals, colleges, and schools-primary and secondary. Even though under extreme hostile conditions at local level and international level which it was created by the belligerent Ethiopian regime, yet the Eritrean government has relentlessly been in making major improvement for the its people. Eritrea is one of the safest country in the world. The people of Eritrea are known for their superb hospitality and utmost tenderness-care when guests arrived in their country. A person could venture on the roads of Eritrea without any concern of safety because the whole lands of the country is safe to travel anytime. Many tourists have returned so many times to Eritrea because they feel safer than their own native land. Some of tourists are extremely happy in Eritrea that they have eventually decided to make it their permanent residency. Eritrea: the land of nobles, the land of extraordinary, and the land of beautiful people!